Whatever your workout preference we will have something to suit your fitness needs. It can be easy to get into a habit of doing the same gym routine week after week, but with so much on offer here there’s always something new to try. 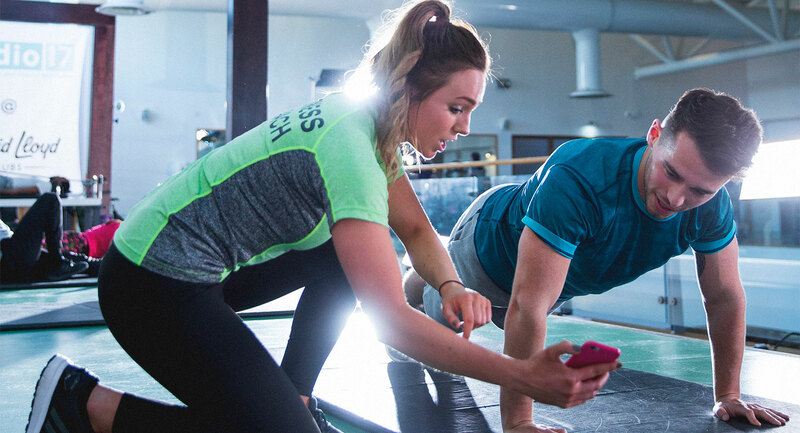 Our gyms have an unrivalled range of equipment, our group exercise classes will push you the limit and our personal trainers are on hand to help you achieve your goals. Not forgetting our brilliant indoor and outdoor pools, fabulous swimming coaches who are great with both adults and kids, plus the perfect place to relax your tired muscles – our spa. We understand that the gym can be a bit daunting on your first visit, so we've developed a brand new type of gym that integrates different types of training in a really friendly, open plan layout. It is divided into specialised zones including: cardio, free weights, functional training and more. Not only that, we have a brilliant range of equipment for you to try, including, Woodway Curve treadmills, Power Plates, Octane Laterals and for functional training our amazing SYNRGY360 area. With all this to choose from, there's no way your gym routine will get dull! Sometimes we all need a bit of extra motivation and going to a group exercise class is a great way to get that. Our brilliant instructors will make sure you get the most out of every session. Classes are a great full body workout and we’re sure we’ve got a class you’ll just love. Our studios are specifically designed for different types of exercise. Why not try Fierce Grace hot yoga in our Mind & Body studio, or Les Mills GRIT™, BODYATTACK™ and BODYCOMBAT™ in our High Impact studio. If like us you love group cycling, don’t worry we have that covered too, we have a variation of different group cycling classes from Sufferfest or MyRide Virtual classes. To top it all off you can book quickly and easily 9 days before your class on our app! If you want to reach your goals fast then personal training could be the right option for you. Our trainers are all qualified to REPs 3, a highly recognised industry standard of excellence and they also undergo a unique program of training with us. You'll find them friendly and approachable, but they're also great at challenging you and will make sure you get the most of each session. They’ll push you and keep you motivated - you’ll be amazed just how quickly you see results.